With the economic downturn, can companies still become great? 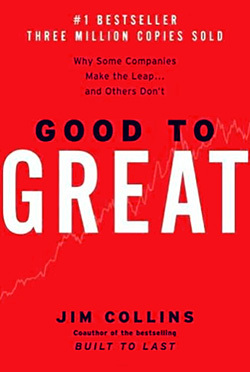 We continue our examination of the business book Good to Great with an interview of author Jim Collins. What was the impetus for you to write Good to Great? Well, it all began with a stroke of good luck. In the opening pages of the book I tell the story of a fateful dinner with a friend and former McKinsey colleague Bill Meehan. Bill quipped that studying great companies is really kind of useless, because they usually had superb parenting under their early leaders, which simply gave them a great start in life. This sparked a question: what about all the average companies that didn’t have great parenting? Can a good company become a great company? I was lucky to have stumbled across that question at the precise moment when I was looking for the next big question, luckier still that I’d learned the right research methods for tackling the question from Jerry Porras in our work together on the book Built to Last, and incredibly lucky that the good-to-great study had never to my knowledge been done before. So, the next five years became completely consumed with doing the research and writing the book. I never expected it to hit the way it did; and I can’t really explain the mysteries of the zeitgeist. Perhaps one factor is that it speaks to a deep human yearning to be better, always better. It turns out that a lot of people want to build something great, perhaps even enduring, as a way to find meaning in life. Also, it was based on years of rigorous research, and I suspect that appealed to leaders who crave empirical validity behind concepts. But a huge part of it was just really having the right question at the right time. Maybe if we’d done the same book 10 years earlier or 10 years later it wouldn’t have hit the zeitgeist. You can never predict these things. With the economic downturn and the evolution of the business world since the book came out, has companies’ ability to become great changed? No. Some people built great companies 150 years ago, 100 years ago, 50 years ago, 25 years ago, they continue to do so today, and some will build great companies in every decade to come. There is nothing about the times that makes building a great company easier or harder. And no matter how much the world changes, the best place to begin is with the fundamentals. If you go back and read Drucker’s ideas in The Effective Executive and The Practice of Management, written more than half a century ago, you’ll find those ideas as relevant today as ever. Porter’s fundamental insights in Competitive Strategy remain valid and useful. Same for Deming’s Out of the Crisis, Peters and Waterman’s In Search of Excellence, Douglas McGregor’s Human Side of Enterprise, and the other enduring management classics. I would say a good business book should have an empirical foundation, which can come from deep practical experience or rigorous research. It should have some concepts that alter the way people think. It should be well-written, so that the reader always wants to turn the page. And one more thing: It has protagonists, people whose stories exemplify the concepts. In the end, everything starts with people, and people are always interested in people. The Second World War, by Winston S. Churchill: A 5,000 page, six-volume treatise on leadership, going through the second World War day by day with Churchill. If you want a lens on leadership, there is no better place to start than climbing inside Churchill’s head during the darkest hours of 1940-’41. Master of the Senate, by Robert A. Caro. This book is a riveting account of how a genius of power got things done. It’s hard to like Johnson, but there is much to learn from his years in the Senate. Caro is a superb writer and perceptive student of power. Self-Renewal by John W. Gardner. Gardner was one of our true wise men. He believed that it is possible to build an ever-renewing society that inoculates itself against decay, and that this in turn requires leaders who continually self-renew. Gardner asks simply, What are the ingredients? Read more about Good to Great or our Leadership Hall of Fame. 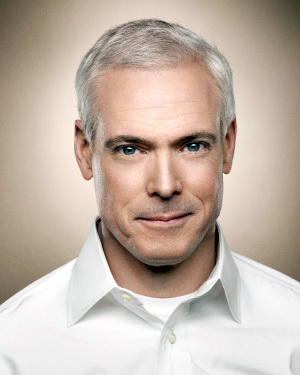 Jim Collins is the author of Good to Great: Why Some Companies Make the Leap … and Others Don’t , published by Collins Business.